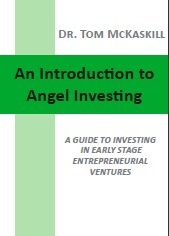 Designed to help high net worth individuals become successful Angel Investors. Angel investing involves active mentoring and coaching of an early stage management team towards a successful exit or additional funding, probably from a venture capital firm. This book sets out a comprehensive and rigorous process which will help the Angel generate deal flow, evaluate investment proposals and manage the investment and subsequent harvest. The book also provides a useful guide to managing operational risks in the venture. Successful Angels know that investing in entrepreneurial ventures is more than just providing finance. There is an active involvement of the Angel in all aspects of the business. Successful Angel investing is active investing which requires the Angel to find the right investments to suit their personal knowledge, time and interests. Angel investors enjoy what they do but they also understand the risks involved. Those risks are substantially reduced with a systematic approach to the selection, management and harvesting of their investments. An Introduction to Angel Investing shows how significant wealth can be achieved by private individuals through investments in high growth early stage entrepreneurial ventures. Most wealthy individuals mistakenly believe that Angel Investing is beyond their means or outside their range of experience, but with the emergence of Angel Networks and Angel Funds, the majority of wealthy individuals can now participate in this class of investment. “This book is a must read for anyone contemplating venturing out into the exciting world of Angel investing. “This could be considered as ‘the’ book on Angel investing.